spindle in the horizontal position. permit all required machining operations. 8. Lock the index head spindle in position. side mill, or a side milling cutter. Figure 7-66.--Aligning the work and the cutter. spindle when you use a screw-on type of chuck. 18. Deburr the work and check it for accuracy. to be machined is located next to the cutter. seats for setscrews. One flat is simple to machine. mill, as long as you can mount the work properly. without moving the work once it has been secured. 1. Apply layout dye to both ends of the work. 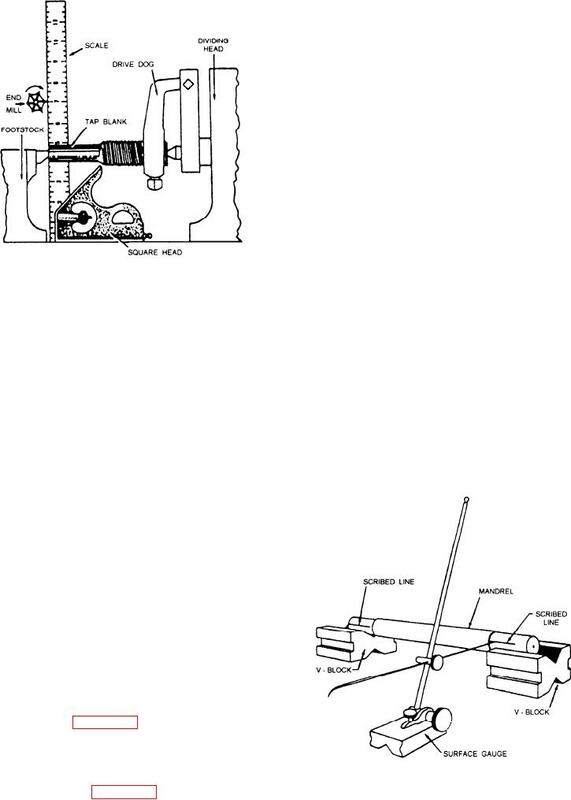 Figure 7-67.--Layout of the work.